Become a legal transcriber with our fully online course. Work for attorneys, court reporters, even police departments right from the comfort of your home! Our course starts at just $99! All materials are online, you just need a computer, Internet access, Adobe reader, and Word. 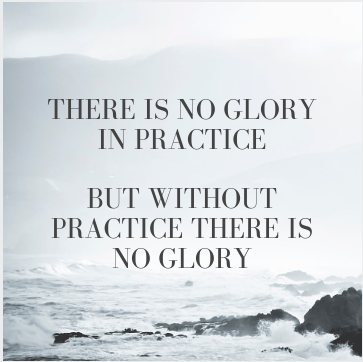 Learn and practice completely on your schedule. Once the course is complete, work around your family! Personal training is available for a faster start, test feedback, and ideas to increase your speed. 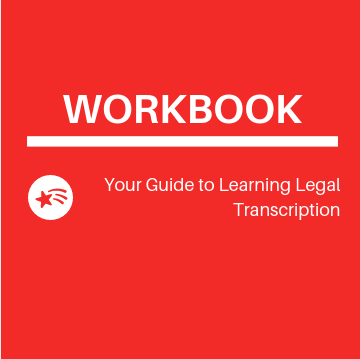 Our workbook will guide you through complete training on how to type a transcript whether it is from a court reporter, attorney, police officer, insurance agent or just a meeting. Samples of transcripts from actual cases and more! The key to being a legal transcriber is being able to listen and type quickly, and that only comes with practice, practice, and more practice. "When I started researching how to become a legal transcriber I was so disappointed. There were a few options online but they were all SO expensive. I couldn't afford thousands of dollars for a two month course, who can? Becoming a court reporter was too much time and money as well. When I found your course I was so happy. My friend actually told me about it after she was hired by your company and you decided to offer your training to other transcribers. I love working for myself now, thank you so much! " "I don't know how you didn't get tired of telling me things to work on, but I am so thankful you stuck through it all with me! Your practice audios and the personal feedback was excellent. Yes, I felt sooooo slow in the beginning, but with practice I was able to start typing more pages each hour. I'm still not as good as you, but in a few years maybe! I just want to thank you for this program, you should really be charging more, but I am so glad you are opening opportunities in this field to people that are interested! " "I was kind of thrown into transcribing for my attorneys as a legal assistant and it took me forever to finish a file at first. I took your course to help me learn faster and everyone at work is impressed! You really broke things down easily, and the shortcuts have been a tremendous help. I even picked up some side work from another firm so I can earn extra in the evenings and weekends. " Where can I work as a legal transcriber? Legal transcribers work in office settings for attorneys or court reporters, they work in insurance companies transcribing claim interviews, or for the police transcribing interrogations. Other legal transcribers work for companies that provide transcription services for TV, videos, meetings, training sessions, conference calls and more. With the growing demand of online schooling, many transcribers are finding a niche in working for universities as well. How much can I earn as a legal transcriber? Your earnings will be predicated on what type of job you take as a transcriber. Most transcribers set their billing either by the minute of audio, or by the pages created. For faster turn around you can charge more. You can see the rates ALM Transcription charges their clients here for samples. Will you hire me after I complete the course? There is no employment guarantee by ALM Transcription LLC, but we notify past course clients of job openings first so that you may apply. We do this because we know that if you have followed the training program, you have been trained on the exact way we complete transcripts for clients, however we do not always have openings. Because the course is completely online, you can complete the course on your schedule. The total time to complete it will depend on how much time you study and practice each day. We have students that are able to start work on actual transcripts in less than two months, and others that take a year to complete the course while they are working full time in their day job. Can I upgrade membership levels? Yes, just email us when you are ready to upgrade. You can pay in installments through Paypal. You will see this credit option when you make your purchase. We only accept payments through Paypal. Do you offer a certificate? You will receive a letter of recognition for completing the course. Since education is not a physical product that you can return, we cannot offer refunds, just as no other institute of higher learning can offer you a refund. What you get out of the course will depend on what you put into it. We use this course to train all of our legal transcribers at ALM Transcription LLC so we know it is effective for helping get independent contractors up to speed with working for attorneys and court reporters across the country.